Компания "Dornier" присвоила обозначения Do 128-2 и Do 128-6 вариантам, ранее известным как Do 28D-2 и Do 28D-6, но на стадии проектирования эти варианты обозначались Do 28E-1 и Do 28E-2. 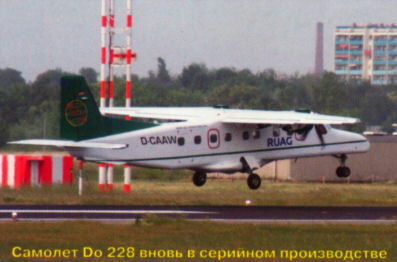 В ноябре 1979 года обозначение ДальшеMore>>> изменили вновь - на Dornier 228-100 и 228-200; самолеты отличались друг от друга только длиной фюзеляжа и полетной массой. Dornier 228-100 при том же сечении фюзеляжа, что и Skyservant, способен перевозить до 15 пассажиров, а более длинный 228-100 рассчитан на перевозку 19 пассажиров. Прототипы двух вариантов выполнили первые полеты 28 марта и 9 мая 1981 года, соответственно, поставки заказчикам начаты в 1982 году. Самолет оказался эффективным и экономичным. Индийский концерн HAL приобрел лицензию на сборку и производство таких самолетов. После поставки компанией "Dornier" восьми Do 228-201 (три для береговой охраны и пять для авиакомпании) началась сборка самолетов HAL; первая машина индийской сборки поднялась в воздух 31 января 1986 года. Береговая охрана Индии получила первый из 36 заказанных Do 228-201 в июле того же года. В дальнейшем 43 самолета были поставлены ВВС Индии и 30 - индийским ВМС. Один Do 228-201 проходил оценочные испытания в германских ВМС и ВВС. ВМС ФРГ закупили четыре Do 228, два - в морском патрульном варианте (поступили в MFG 3) и два - в варианте общего назначения. Военные Do 228 закупили Финляндия (Пограничная охрана), Сухопутные войска Италии и Малави (три 228-201 и один Do 228-202), Нигерия (один транспортный Do 228-100 и два Do 228-200 в VIP-варианте), полиция Омана (два Do 228-100) и ВМС Таиланда. В 1996 году Do 228 стал совместным германо-голландским самолетом. Серийное производство этих машин завершили в 1998 году, на заводе "Dornier" в Оберпфаффенхофене на юге Германии построено примерно 270 Do 228. Права на самолет были куплены швейцарской компанией "RUAG", которая разработала новый Do 228NG с пятилопастными винтами и новым БРЭО. Часть комплектующих для Do 228NG поставляет индийский концерн HAL, окончательная сборка ведется в Оберпфаффенхофене. Первый Do 228NG выполнил первый полет в 2009 году, первый серийный самолет поставлен заказчику из Японии в сентябре 2010 года. Do 228NG закупили правительство Германии, норвежская "Lufttransport AS" и ВМС Бангладеш. Do 228-200: удлиненный Do 228-100 с ТВД Garrett TPE331-5-252D мощностью 776 л.с. Do 228-212: вариант с увеличенной дальностью и с ТВД TPE331-5A мощностью по 778 л. с. 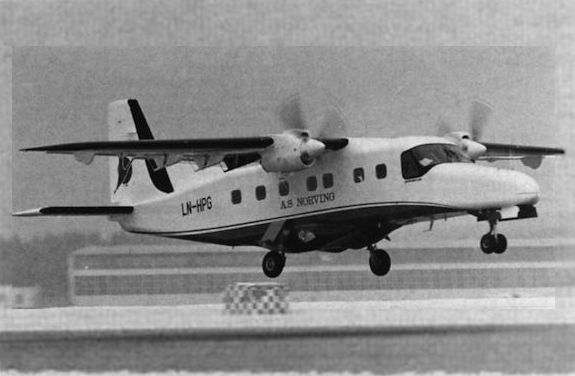 The first example of the Dornier 228-100, in service with AS Norving. Самолеты Do 228-201 Береговой охраны Индии оснащены различным специализированным оборудованием, включая РЛС MEL Marec II (в подфюзеляжном обтекателе) и ИК/УФ сканер производства Швеции. 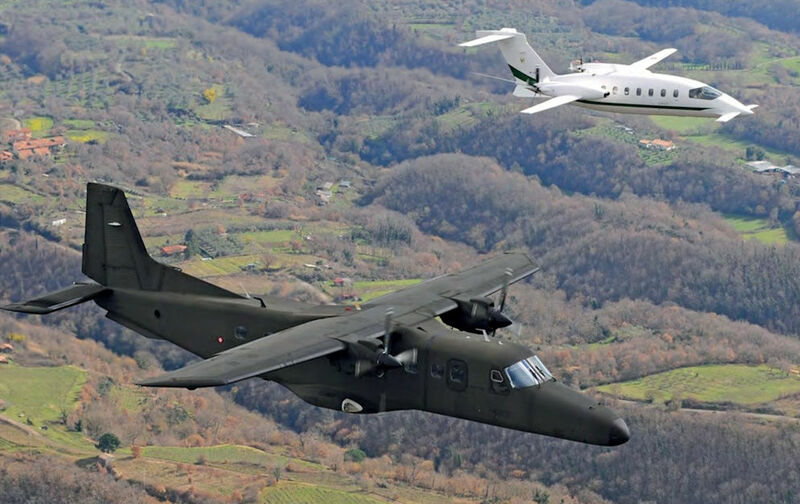 The new aircraft's predecessors are the Dornier 228 (242 delivered to 85 customers), the 328 (110 delivered to 23 customers), both seen here, and the current production 328JET with 81 delivered to 17 operators from an orderbook of 142 aircraft. 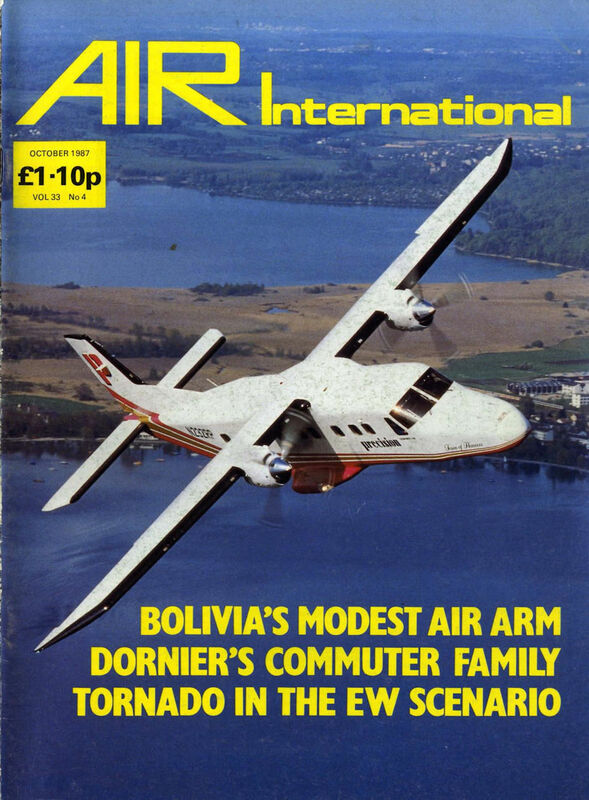 The Dornier 228 7Q-YKS Nyika was bought in 1993 and flies the airline’s shorter routes. 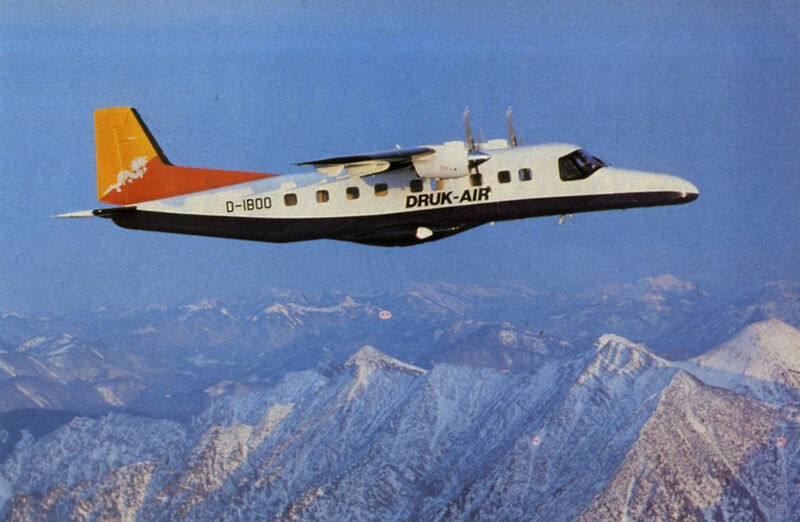 Operating as Druk-Air, Royal Bhutan Airlines look delivery of this Dornier 228-200 early in 1983 as the first of two for operation on the route linking Paro, in Bhutan, with Calcutta. 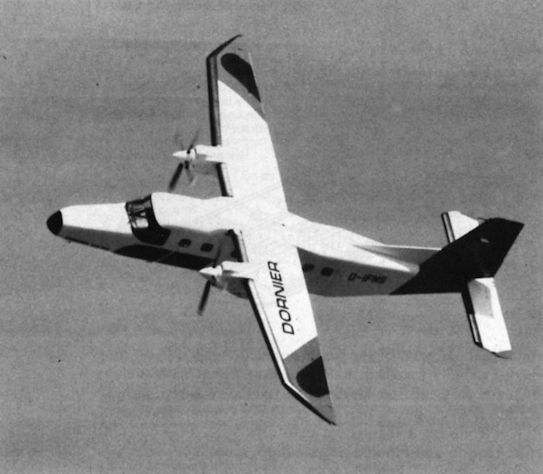 Japan Air Commuter was another early user of the Dornier 228-200, leasing the 7 th and 19th production aircraft during 1983. Do 228-200 с германской регистрацией (нанесена до поставки заказчику) эксплуатировался региональной "MacAir Airlines" из Куинсленда, Австралия. Самолет использовался для пассажирских перевозок и в интересах горной промышленности. 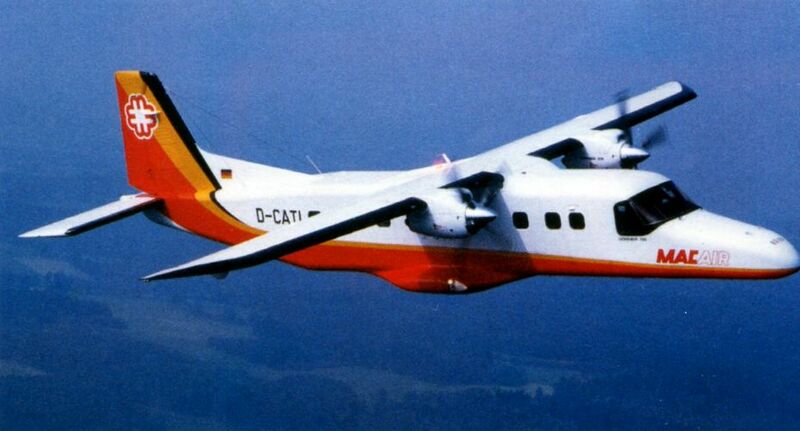 NFD’s sole Dornier 228 D-ILWD, ex-D-CHOF, at Dortmund in May 1992. 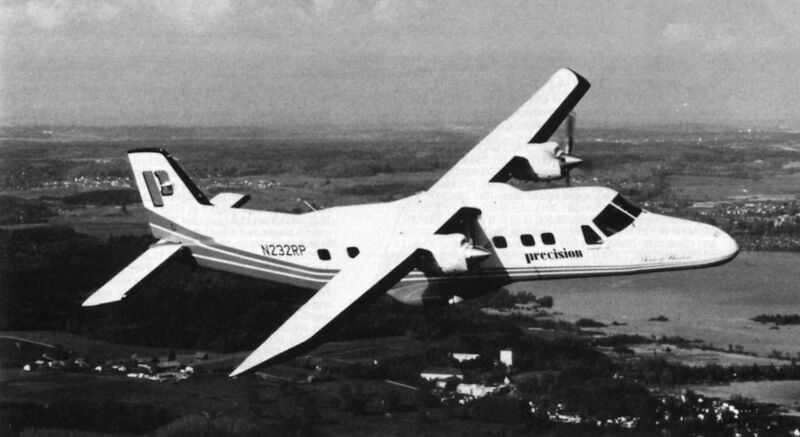 A Dornier 228-200 of Precision Airlines in the US. 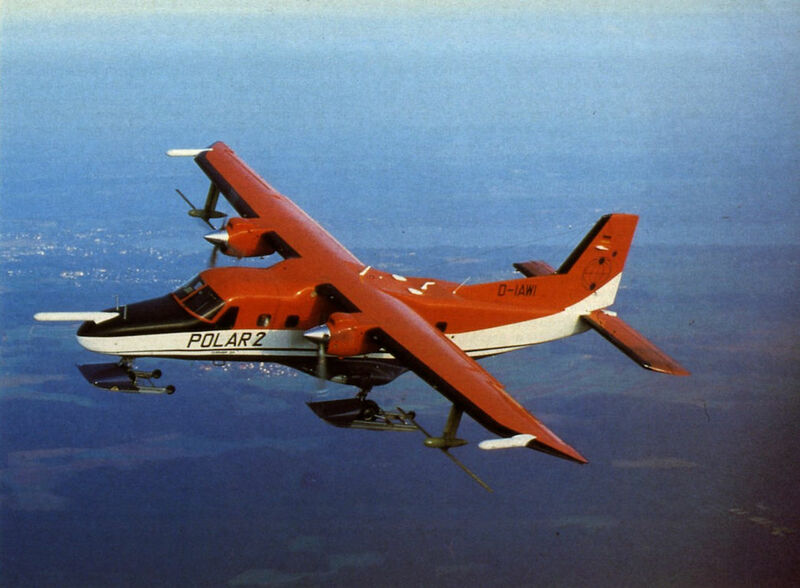 Polar 2 is the first of three Dornier 228s that have been used to support the German Antarctic Expeditions. With combination wheel/skis, they have many items of special equipment for ice research. The Dutch Kustwacht (Coast Guard) Dornier Do 228-212 PH-CGN (c/n 8181) has been upgraded during recent scheduled maintenance at Oberpfaffenhofen in Germany by RUAG. Its original four-blade propellers have been replaced by five-blade Hartzell units and improved navigation and communications were installed. The aircraft has also received a new scheme. 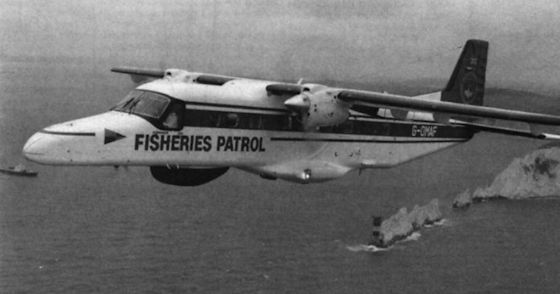 The second Dutch Coast Guard Do 228 (PH-CGC, c/n 8183) will also be similarly modified. The Netherlands Coastguard is one of several parapublic operators that use Do 228s. 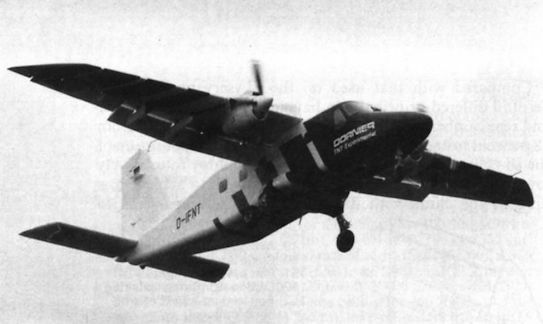 A Dornier 228-100 demonstrator in maritime surveillance configuration with radome under the fuselage and underwing sensor pods. 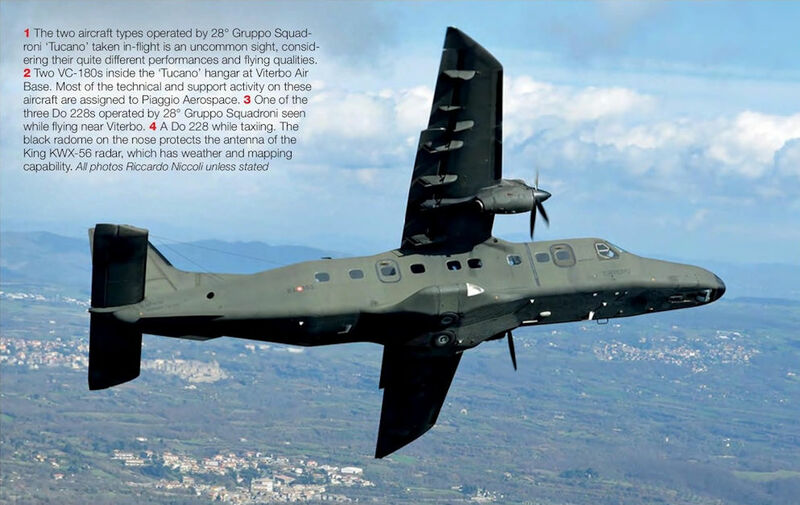 One of the three Do 228s operated by 28° Gruppo Squadroni seen while flying near Viterbo. The two aircraft types operated by 28° Gruppo Squadroni ‘Tucano' taken in-flight is an uncommon sight, considering their quite different performances and flying qualities. A Do 228 while taxiing. The black radome on the nose protects the antenna of the King KWX-56 radar, which has weather and mapping capability. Высокоплан Do 228 обладает прочной конструкцией и идеально приспособлен для эксплуатации с плохо подготовленных аэродромов. На фотографии - первый серийный Do 228NG, поставленный в 2010 году японской NCA. 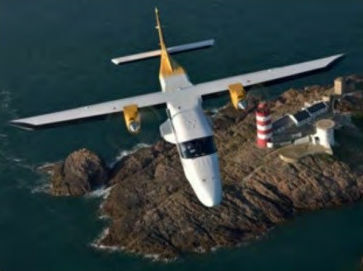 Guernsey-based Aurigny Air Services recently took delivery of a new-build Dornier 228NG, supplementing two second-hand Do 228-202Ks that entered service last year. The three aircraft will replace Aurigny’s ageing Britten Norman Trislanders, the last of which is scheduled for retirement in April 2016. 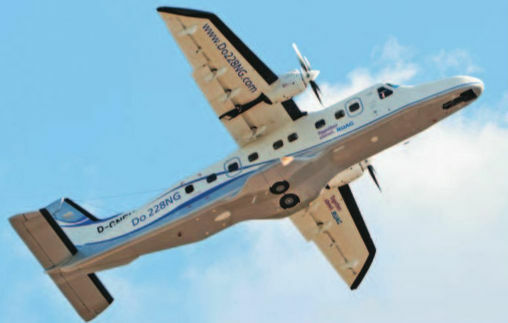 Dornier 228-212NG G-OAUR was delivered from RUAG’s plant at Oberpfaffenhofen, Germany, via Southampton to Guernsey on December 14, 2015. It is seen here departing Groningen-Eelde in the Netherlands on January 10 after a fuel stop. 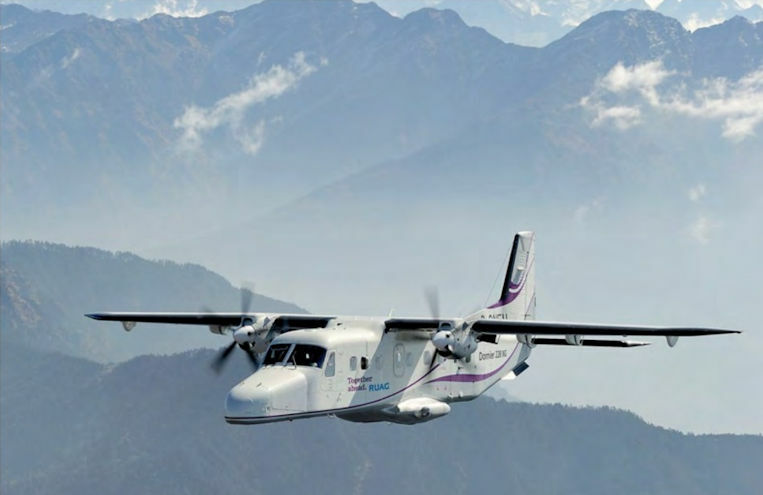 RUAG is restarting series production of the Do 228NG, with the company foreseeing demand for the aircraft in Africa and Latin America. Aurigny is one of the latest operators of the Do 228, having introduced two examples to replace its veteran Trislanders. 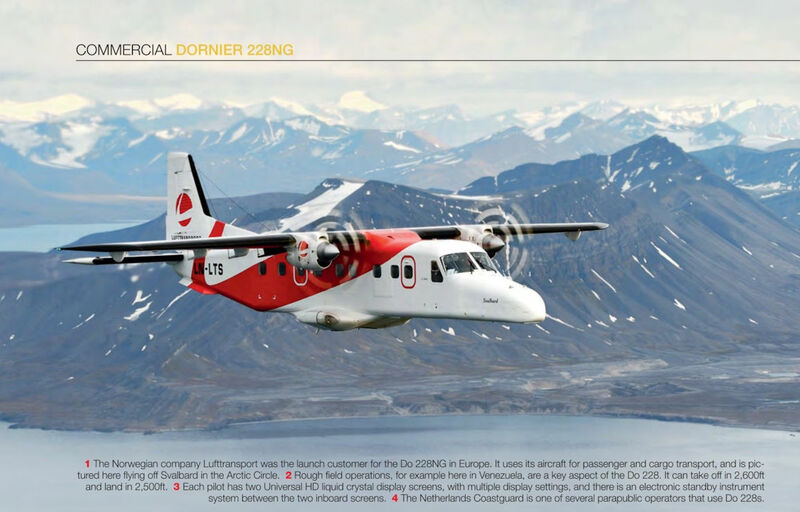 The Norwegian company Lufttransport was the launch customer for the Do 228NG in Europe. 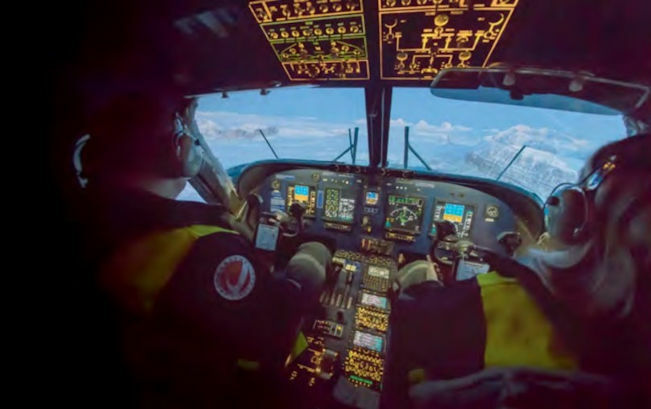 It uses its aircraft for passenger and cargo transport, and is pictured here flying off Svalbard in the Arctic Circle. 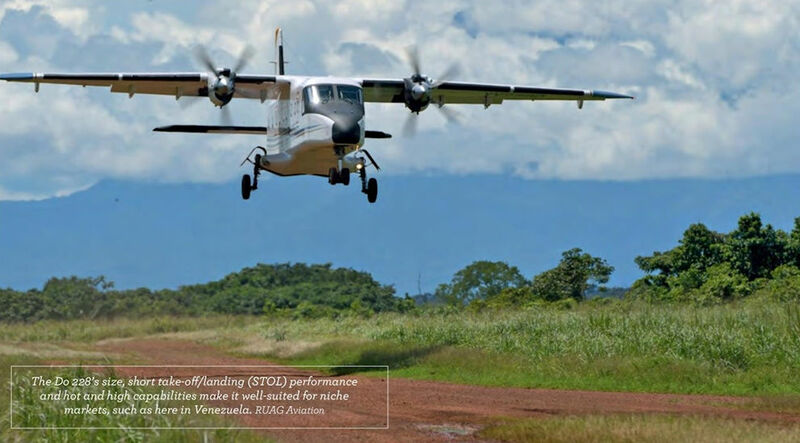 The Do 228’s size, short take-off/landing (STOL) performance and hot and high capabilities make it well-suited for niche markets, such as here in Venezuela. 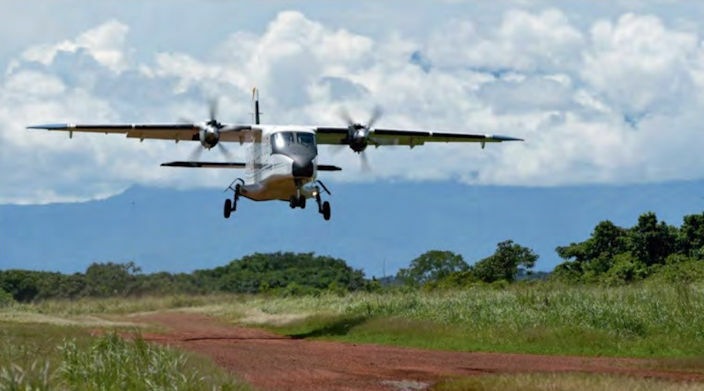 Rough field operations, for example here in Venezuela, are a key aspect of the Do 228. It can take off in 2,600ft and land in 2,500ft. 14 июня 1979г. : фирма "Dornier" использовала модифицированный самолет Do 28 Skyservant для летных испытаний нового высокотехнологичного крыла, предназначенного для проекта Do 228. 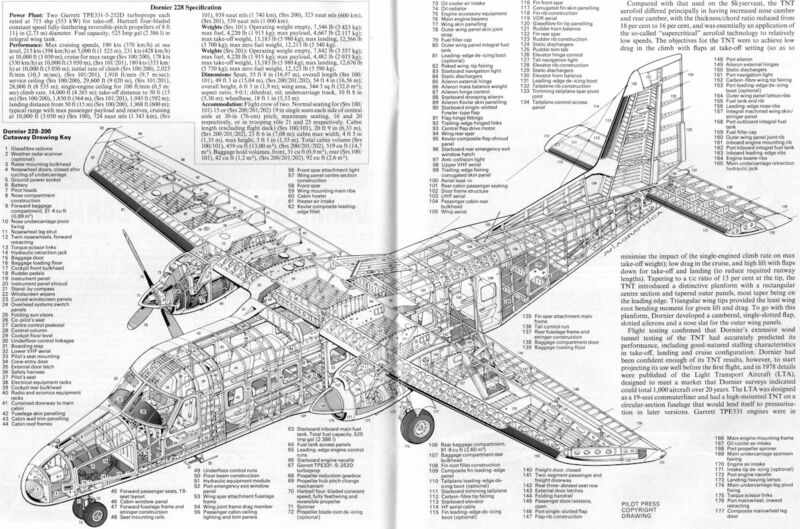 (Above) Although it was modified from a Skyservant, the Dornier TNT Experimental incorporated most of the features of the Dornier 228, including the new wing with Garrett turboprop engines. 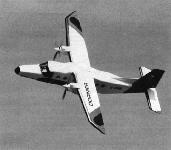 The prototype Dornier 228-100 was soon followed by the first 228-200, differing only in the length of fuselage. 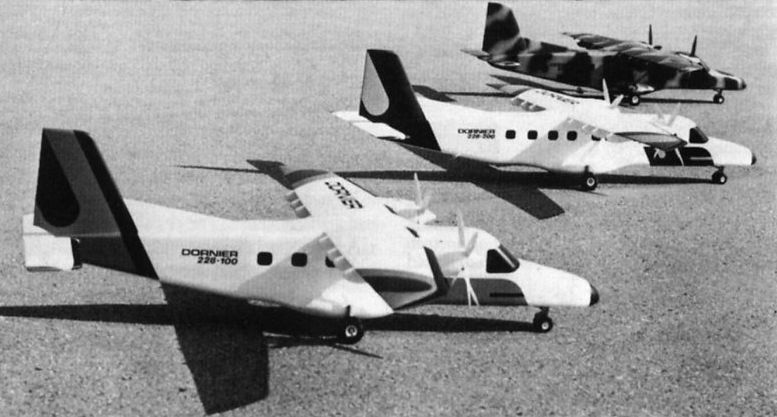 Models of the Dornier 228, latest derivative of the Skyservant family, show (left to right) the 228-100, the larger 228-200 and a 228-100 in military finish. 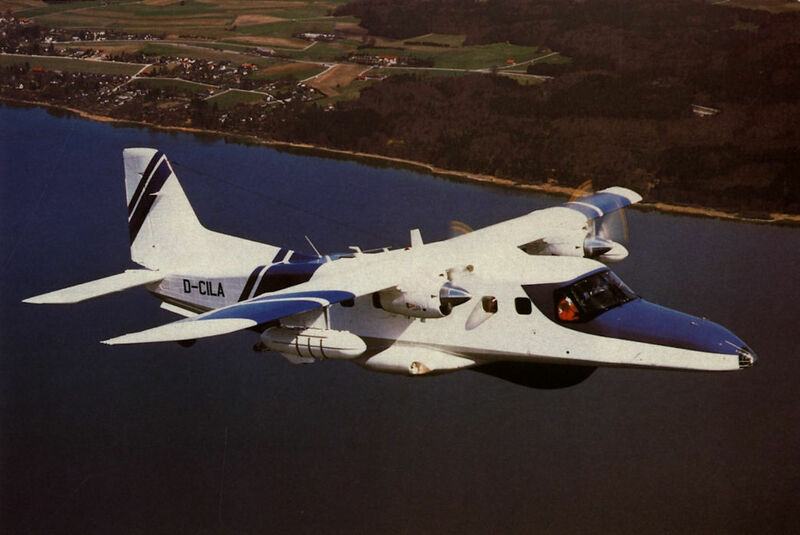 The first production Dornier 228-100 was delivered to A/S Norving in March 1982, but was returned to the manufacturer to serve as a demonstrator, being replaced in Norway by the third aircraft. 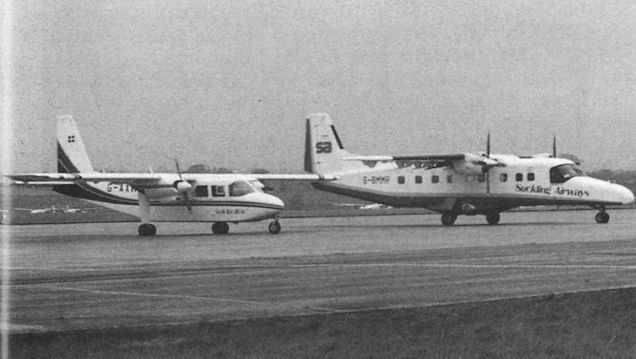 Suckling Airways' Dornier 228 G-BMMR was used to demonstrate the type to the Isle of Scilly Sky Bus Company at Exeter during December 1991. 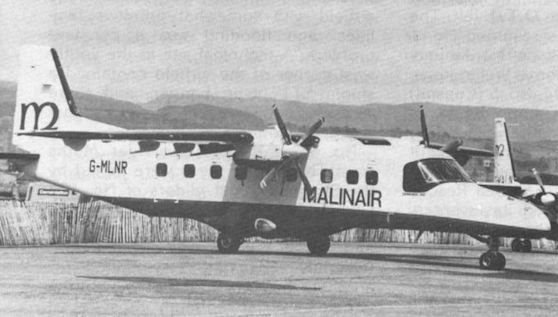 At present the company operates a fleet of five Islanders. A HAL-built Do 228 which incorporates a wide loading door for bulky items. 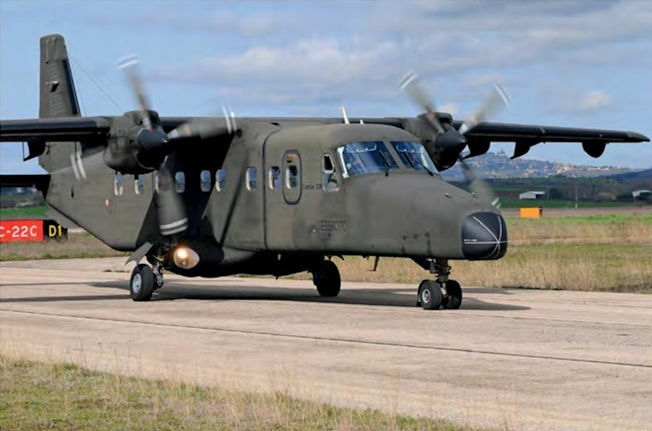 The Do 228 began to enter IAF service in October 1987, and many of the 50 on order for the Service will replace the DHC-3 Otters of Nos 41 and 59 Squadrons. 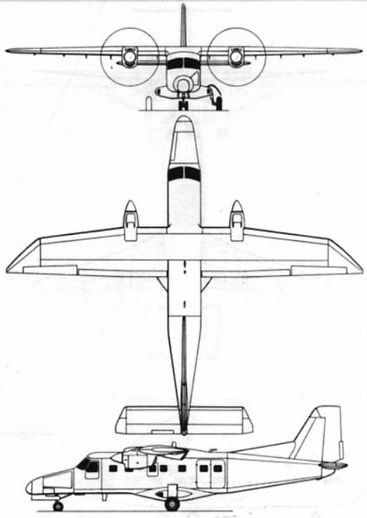 The Do 228 will also succeed the remaining C-47s currently serving in a variety of roles. This 228-201 was used for a nine-month evaluation by the Marineflieger and then operated as a VIP transport for the Luftwaffe for six months. Авиация и Космонавтика 2012-11 / А.Юргенсон - "Гидроавиасалон-2012"
Example of the radar-equipped coastal surveillance version of the Dornier 228, in UK Fisheries Patrol service. 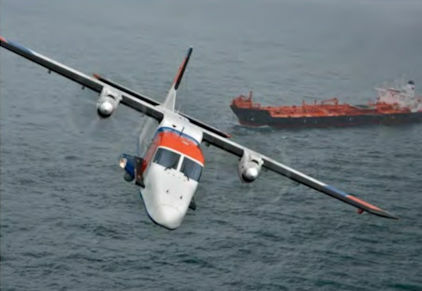 The Ministry of Agriculture and Fisheries has selected the Dornier 228-200 to fly offshore fishery patrols round the coasts of Britain, at distances up to 200 naut mis (370 km), replacing RAF Nimrods which have previously had this responsibility. 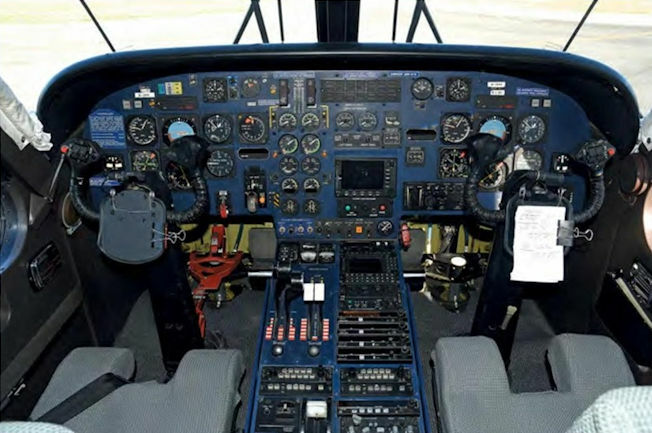 The Do 228 cockpit clearly shows its age, as it is dominated by analogic instruments. Each pilot has two Universal HD liquid crystal display screens, with multiple display settings, and there is an electronic standby instrument system between the two inboard screens. 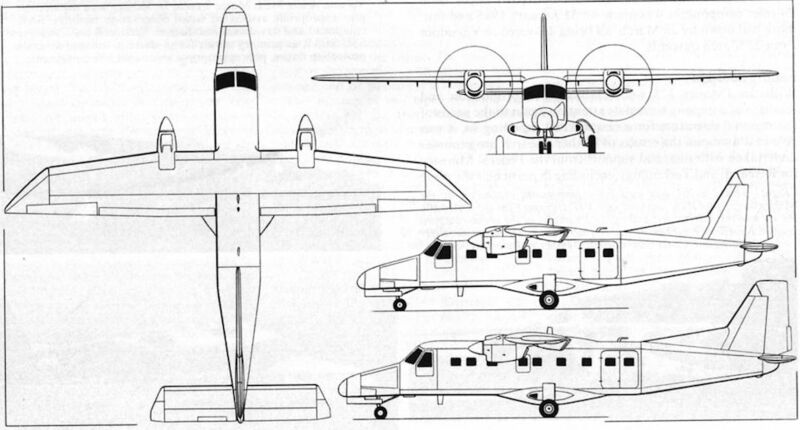 Three-view drawing of the Dornier 228-100 and additional side-view (bottom) of the 228-200. 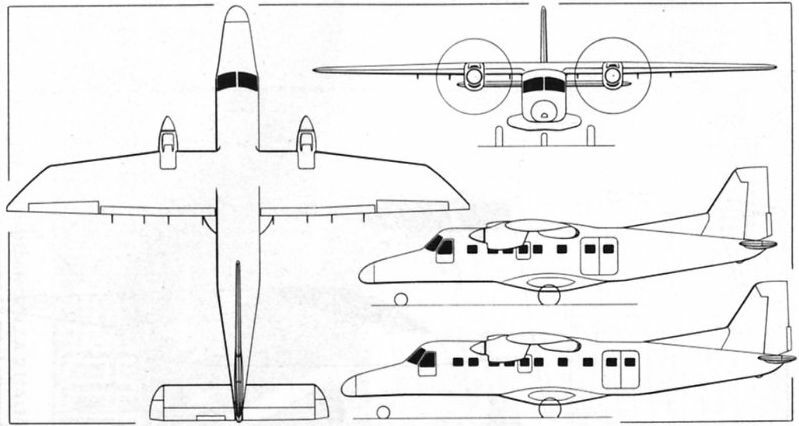 The drawings show the Dornier 228-100 with a side-view of the 228-200.